While Google Drive is a centralized hub for storing and editing your documents in the cloud, Google wanted to make it easier for users to access specific types of documents while on the go. 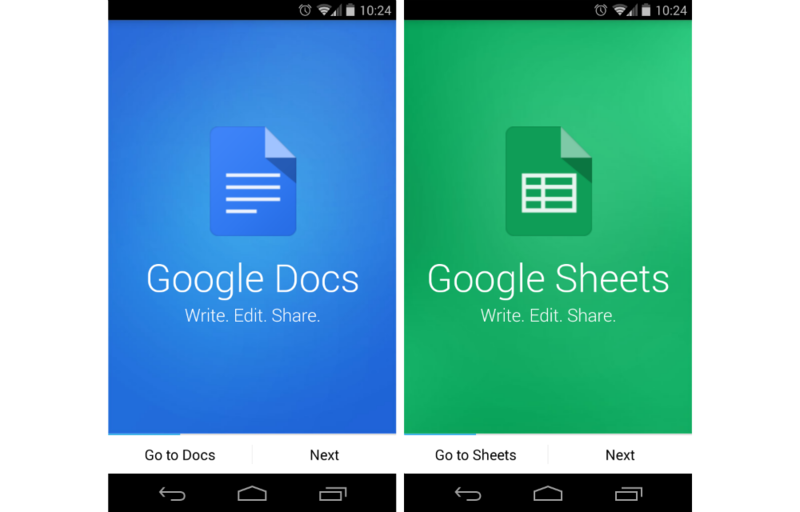 To do this, the company has released updated standalone applications for Google Docs, Google Sheets, and Google Slides. From now on, users can access their data sheets or word documents all from their own respective applications. Each application features a nice Offline Mode, which allows users to make changes as they see fit, even without a data connection. Once data is restored, the updates are made automatically, and everything is synced back to the cloud. If you don’t update to this process, Google states that they will begin prompting users to download the new apps in the Google Drive application if you plan to do any editing in there. Two of the three apps are now live in Google Play, but Google Slides is “coming soon.” Once it is made available, we will update the post, although Google didn’t mention a time frame for its release.